Dogs, like people, come with all types of skills as well as personal physical characteristics. Dogs have different personalities as well as visual appeals. Using your horoscope is a great way to find the perfect dog for yourself. Use the table below in Step 1 to find out your sun sign, sometimes referred to as your horoscope sign or astrological sign. Just look for your birth date and this will show you which sign you are. If you already know your sign, just follow the steps below until you come to your sign and read what it says about the perfect dog for you. 1.Find your sign. Aries: March 21-April 19; Taurus: April 20 -May 20; Gemini: May 21 -June 20; Cancer: June 21-July 22; Leo: July 23-August 22;Virgo: August 23-September 22; Libra: September 23-October 22; Scorpio: October 23-November 21; Sagittarius: November 22-December 21; Capricorn: December 22-January 19; Aquarius: January 20-February 18; Pisces: February 19-March 20. Choose a bold, fiery and energetic breed for Aries people. This has to be a courageous dog who can go anywhere and keep up with its fast-paced owner's lifestyle. Trekking, swimming and catching frisbees are just tricks of the trade for an Aries dog. Aries can easily handle and train any aggressive breed of dog. Taurus is ruled by the planet Venus. So a Taurus will need a dog who satisfies his high aesthetic, comfort and security levels. The perfect Taurus dog will be attractive, intelligent, loyal, soft and fluffy to touch, like to cuddle and be a fierce watch dog to protect its owner. Get a smart pooch with loads of personality for Geminis. They are easily bored, so a dog that is a fast learner, that can give and receive lots of mental as well as physical stimulation would make a great choice. In the absence of a talking dog, many breeds thrive on being talked to a lot and having clear jobs to do, like fetching the paper each morning or changing the channel with the remote control. Choose a small dog that lives for being constantly held, caressed and fussed over for a Cancer. It will satisfy a Cancer's mothering instinct to be able to care for a small furry friend. Do a good deed and pick up a dog that was abandoned or traumatized from the local pound. The most quiet and emotionally needy dogs thrive under Cancer's constant nurturing focus. A female dog has the extra promise of a possible litter to care for in the future as well. Get an extravagantly gorgeous dog for Leo. One that is regal, yet entertaining and playful. A Leo will respect a dog that also likes to be the center of attention like they do. And Leos will never be bored with a rare, gigantic breed that is loyal, devoted and causes stares wherever they go. Choose a small, clean and obedient breed of dog for Virgo. In fact, the Virgo sign rules small pets in general. No slobbering bulldog breeds or major shedders for the ultra practical Virgo. Choose a breed that thrives on a schedule. If the dog is also a helpful little buddy, these two will enjoy a long and happy relationship. Get an elegant, charming and peaceful dog for Libra. Libra will most appreciate a dog that is beautiful to look at, perhaps a pure breed status dog and one that may even do tricks at parties. Lots of snuggling and obedience are huge pluses. Beauty wins out over brains any day for a dog that Librans will prize. Satisfy a Scorpio's fascination with the dark side by choosing a mysterious or exotic breed of dog. Social skills are not a real pet necessity for a Scorpio and the dog should not be too demanding of the Scorpio's time and attention. A Scorpio will enjoy a self-sufficient breed with some sort of unusual character traits such as an intense distrust for strangers. 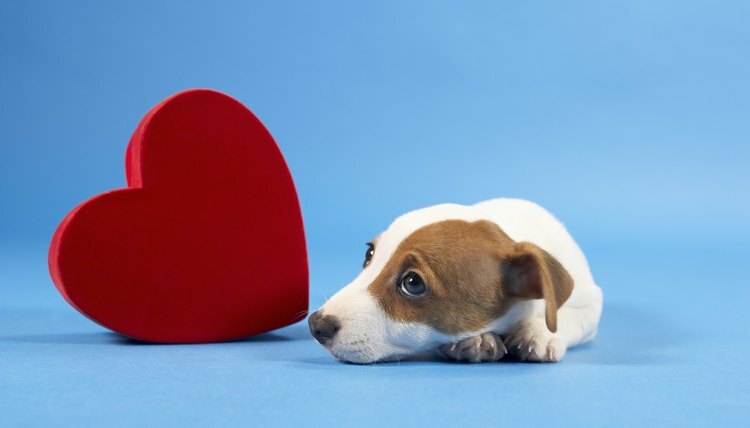 Choose an easygoing and self-sufficient breed of dog for Sagittarius. This dog has to be ready at a moment's notice to go wherever and do whatever its master spontaneously decides. A Sagittarius will appreciate any dog that is affectionate, sociable and enthusiastic, like themselves. Large friendly dogs that need plenty of exercise hit the mark for sporty Sagittarians' lifestyles. Get an intelligent, loyal and purposeful dog for Capricorn. A low-maintenance, independent city dog will best suit a Capricorn's busy lifestyle. And Capricorns will appreciate a smaller dog that will be easy to find a pet sitter for when they are on one of their frequent business trips. The perfect dog for ambitious Capricorn would also contribute to the family income by performing some sort of service to society or winning dog contests. Find an unusual-looking dog with a detached nature for an Aquarius. Aquarians have so many different interests that they like a dog that is not too demanding and can keep itself amused for hours with plenty of toys. An independent dog and an Aquarius will be great companions for years to come. Choose a calm, affectionate and docile breed that will appeal to a Pisces' calm and patient nature. Pisces knows how to be a be a warm, loyal friend and will happily divert their schedules to spend time with a dog that needs lots of human companionship. There are many dogs made famous by stories and folklore that will stimulate their imagination and provide dreamer Pisces with the sort of magical and captivating experiences they desire.